Election roundup: Will Gov. Earl Ray Tomblin really engage in ‘frank and honest’ discussions about coal? October 5, 2011 by Ken Ward Jr.
My door will be open to all … and I know that the best solutions come from frank and honest discussions and I look forward to having those. Gosh … maybe newly-elected Gov. Tomblin planned to spend some of his next 14 months in office having truly honest and frank discussions about important coal issues: The coming collapse of Central Appalachian production, the environmental and human health damage from mountaintop removal, the urgent need for greenhouse gas limits to encourage carbon capture and storage projects that could help coal survive a carbon-constrained world. I will act on recommendations to make our coal mines and indeed all of our workplaces as safe as they can possibly be — so that our workers, are are the best in America, are able to provide the energy that powers this country and go home to their families each and every night. That’s great news, especially for coal miners, who are still waiting for any regulatory agency or lawmaking body to take seriously the recommendations from special investigator Davitt McAteer’s team following the Upper Big Branch Mine Disaster. I will fight for our state’s coal industry, the backbone of our economy. We will oppose the efforts of the EPA and others to stop production of the most efficient fuel our country knows. So much for “frank and honest” discussions. If Gov. 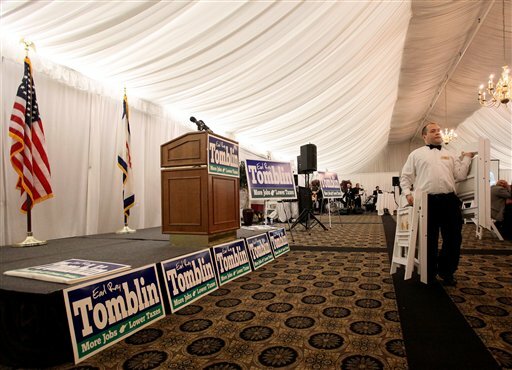 Tomblin wanted to really have those discussions, there are things he could do … for example, I noticed a Daily Mail story about the upcoming “Energy Summit” hosted by the governor’s office each year in early December. I’ve been to a couple of these energy summits. And for the most part, they served as little more than industry pep rallies. Gov. Tomblin could easily instruct the state Division of Energy to put together a more diverse panel of speakers. Why not invite Dr. Margaret Palmer of the University of Maryland to come and talk about how mountaintop removal is causing “pervasive and irreversible” environmental impacts? The governor could personally ask West Virginia University’s Michael Hendryx to come and brief state leaders on the 18 peer-reviewed studies showing serious health problems associated with living near mountaintop removal sites. It would be fascinating if Gov. Tomblin arranged for Cornell University’s Robert Howarth or Tom Wigley, a senior scientist at the National Center for Atmospheric Research, to come and discuss whether a switch from coal to natural gas is really that good for dealing with global warming. Maybe the governor will invite Rory McIlmoil and Evan Hansen of Downstream Strategies to present information from their important report on the coming drop in Central Appalachian coal production and the potential for wind power to grow in the state’s southern coalfields. Or perhaps the governor will even bring in the fine folks from the West Virginia Center for Budget and Policy, who can talk about the dangers of our state relying too much on the boom-bust economy of energy production. We came together to tell the outside groups that no one — no one — is going to tell us what to do in West Virginia. We may be open for business, but ladies and gentlemen, West Virginia is not for sale. Does Gov. 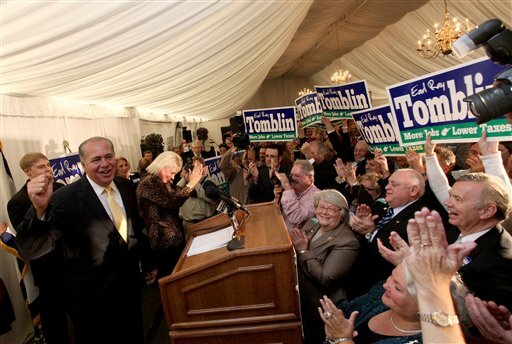 Tomblin really want “frank and honest” discussions on these crucial coal industry issues? Or are the next 14 months going to bring just more of the same? The speech certainly sunds like “more of the same,” or worse. Coal now, coal forever, hail King Coal. In a reality-based world, those conversations would be central to any consideration of West Virginia’s future. Coal, however, particularly with WV’s political class, is a faith-based industry. Remember: Earl Ray doesn’t “believe” in Dr. Hendryx’s work. How about the Charleston Gazette hosting a real energy summit? We host one — every day, right here on this blog. True enough, Ken, but I think Eric’s onto something. Perhaps “We, the People” need to do what our elected representatives will not, to-wit: call a gathering specifically to discuss the realities (among others) that you have cited. An “alternative energy summit” (alternative really has two meanings here) would be a fascinating idea. For it to be worthwhile, the panels and speakers would need to be made of of scientists, experts in the field who are thinking and publishing about these things … all too often, these sorts of events turn into dog-and-pony shows for one side or other other. That’s what’s wrong with the state’s energy summit — it’s more PR and pep rally than actual learning and discussing going on. An event that brought together true experts in the fields I talked about above would be a benefit to all West Virginians. No offense to you, your group or those you work with — but just another event where opponents of mountaintop removal tell their stories (however important those stories are– and we agree they are important) isn’t at all what I’m talking about. — What sorts of limits — if any — on coal-mining activities could address the damaging public health impacts revealed by the work of Dr. Hendryx? — Even absent any changes in environmental rules, what exactly do the experts think the next 20 to 50 years hold for Central Appalachian coal production? How steep will the declines be, where, and what can be done to try to recover from the economic impacts that will have? — Absent national action on climate change (which seems to be the case for now), what can West Virginia do to try to begin the process of dealing with greenhouse emissions and global warming? — What sorts of changes in the electrical grid are needed to help green power grow? — What can electrical efficiency improvements do for West Virginia, both environmentally and economically? — What sort of timeline is realistic for transitioning from coal-based power? Those are just some questions that jump to mind offhand. No offense taken, Ken. You’re talking about the exact things I was thinking about when I wrote. I’d like very much for West Virginians simply to be exposed to the actual science (those eighteen peer-reviewed studies, among other things) of where Mountaintop Removal is taking us. You have documented very clearly the fact that our elected representatives have taken the ostrich approach to this science. I hope the people, themselves, with their very lives on the line, would not do the same. The recent AP story about the coming collapse of Appalachian Coal is something that MUST be discussed, preferably cooly. Panic is never beneficial in the effort to get folks into lifeboats aboard a sinking ship, and the Appalachian Coal ship is definitely taking on water. Ken, I think you just made a program outline! I completely agree with your concept. There is so much great technology and talent in all the energy companies, they absolutely have to be part of it. And all those things you just listed about our state limitations and need for national cooperation/policy should be addressed. The one ‘energy summitt” i attended was, as you said, mostly an industry pep rally. But just a few small changes like allowing time for meaningful Q and A of each presentation would tend to discourage blatant misinformation/bs. The discussion about Smart grid technology , CCS, carbon trading/banking, and cleaner burning and pollution gathering technology was there. They seemed to have good info. It was primarily Raney, Adam Victor and Manchin who really discredited the whole thing. A little sprinkle of Hendryx, Gunnoe, Web, Downstream Strategies to talk about the “externalities” and nature rights, that industries don’t like to talk about and some discussion of legal/political options (look up CELDF- Pittsburgh is the first city in the US to recognze legal rights of Nature and to strip corporate “person” rights in their city limits) would round out all the cutting edge technology and market analyses.